Get this: Naan makes a terrific pizza crust. 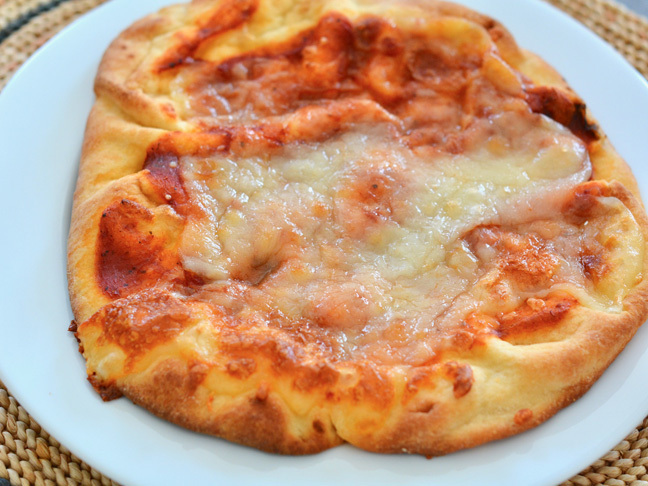 We use the store-bought kind to make Naan Pizza (but you can also make it homemade). 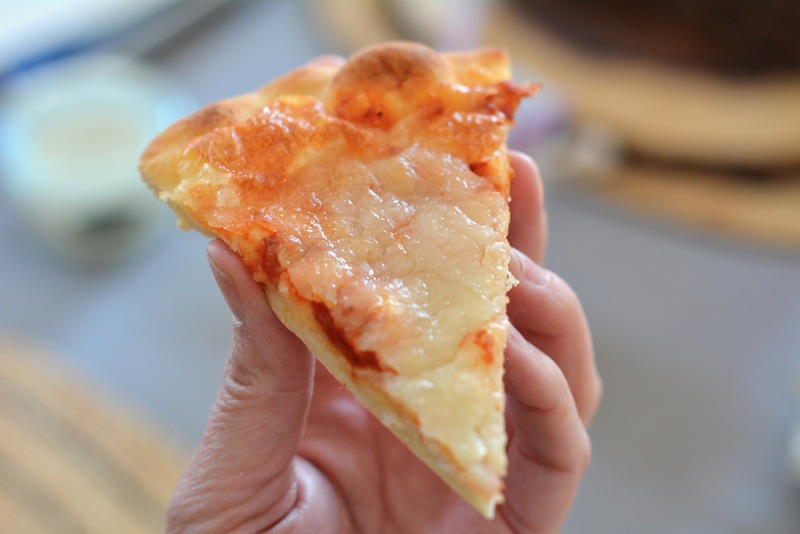 We like to make our Naan Pizza with sauce, veggies, a little garlic (unless we use garlic naan bread), cheese, and sometimes even slices of meatballs or pepperoni. Then, we bake it. While the pizza bakes, the bread firms up and the crust gets nice and chewy just like our favorite restaurant pizza. The best part? You can have dinner, lunch, or a snack ready in about 15 minutes. So, even if you’re incredibly tight on time, this pizza idea is really easy to pull off. Ready to try something new? 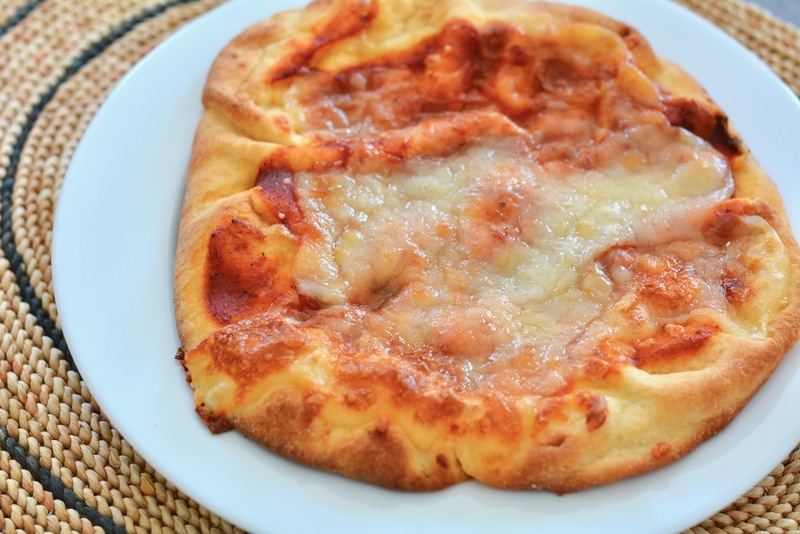 Set up a Naan Pizza bar in your house for dinner one night and let your kids have at it. Step 1: Preheat the oven to 400 degrees F. Line a baking sheet with parchment paper. Step 2: Place the naan on the baking sheet and divide the sauce and cheese evenly between the two breads. Spread the sauce on thinly with the back of a spoon and sprinkle the cheese on top. Add vegetables or meat toppings as desired. Step 3: Bake the naan for 15 minutes, or until the cheese is melted and bubbling. Remove and allow to cool slightly. Serve hot.